33rd edition of International Crafts Mela kick started at Faridabad district in Surajkund, Haryana on 1st February. 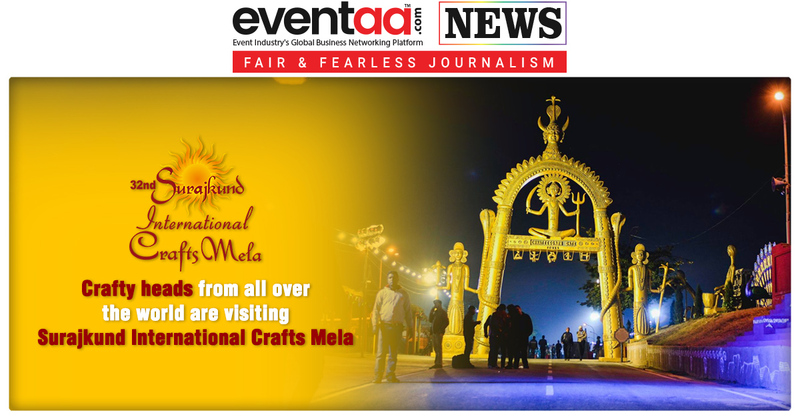 Surajkund Crafts Mela which is one of the most famous fairs, is organized every year by Haryana Tourism Department to promote handicrafts items. Artists worldwide showcase their handlooms, handicrafts, traditional handicraft items from their respective localities. The term Surajkund means "Lake of the Sun." The artificial lake constructed in the backdrop of the Aravalli hills is what this term refers to. 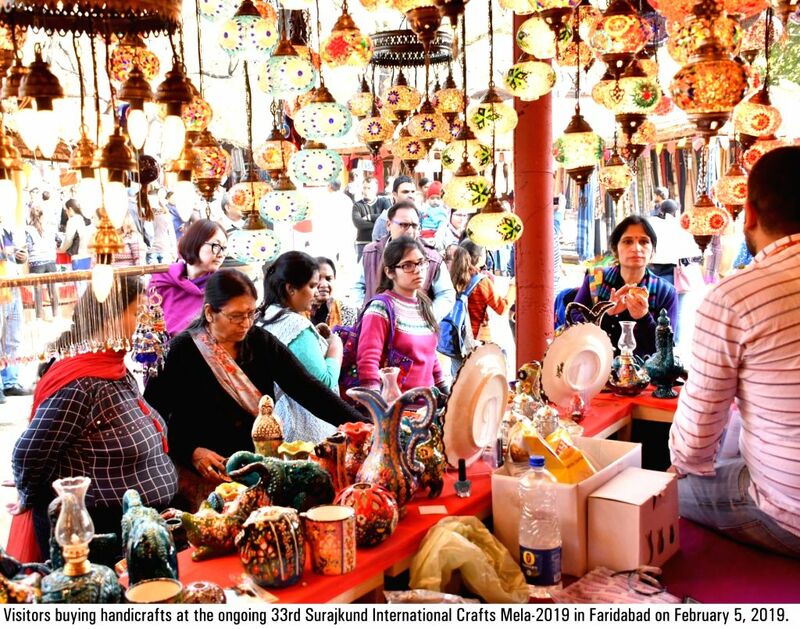 Occupying a place of pride on the international tourist calendar since 1987, Surajkund International Crafts Mela observes more than a million visitors every year. 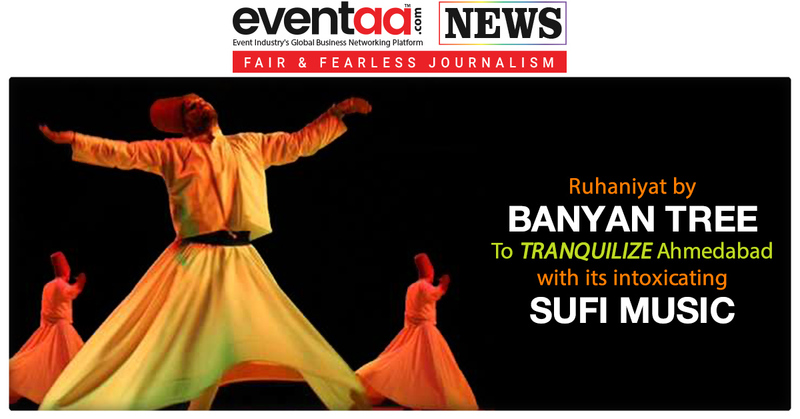 Eccentricity of this Mela is that every year a state is chosen as a theme state and a nation as the theme nation. The 33rd edition will observe Maharashtra as its theme state and Thailand as a theme nation. One of the Mela’s lucrative attention seeker is International cultural artist’s performances at the open air theatre named Chaupal. The first day witnessed a classical performance at Chaupal by Ganimi Kawa, the second day witnessed the bollywood’s singer Akkankksha, on the third day it was Haryanvi themed cultural Programme and Fashion Show directed by Prop. Rajvir Singh, Dharohar Heritage, on the fourth day it was performance of artists from theme nation, whilst yesterday it was Rajasthani artists that kept the audience energized by their classical performance. While the entry to the Mela starts at 10 a.m., the performances at Chaupal starts at 6:00 p.m. lasting till 8:00 p.m. Every year Surajkund International Crafts Mela continues to grow bigger than the past by the number of foot falls coming to this event, by the number of crafty heads that come from all over the world to visit it & by the number of stalls that showcase work from their localities.